As a child I have been blessed with great skin which I am very thankful for. My wounds heals fast, my scars fades fast, no breakouts and my skin don’t itch, but as I grow up my skin changed. It got really dry and sometimes It gets so dry that it itches. I guess that is what age does and also thanks to the air conditioned environment I am in 24/7 from home, to the office and in the car. Every I go it’s air-conditioned, simply because I cannot endure the heat. My eldest child, Heiley has very dry skin since she was born and is sensitive to several brands of shower gels. Since young she has been scratching ever so often, and I have always ask her to stay hydrated and stay moisturized since young. Lucky for my youngest, Vegas, who took up after me. Hubs has rather dry skin as well, so in our toilet there are so many brands of shower gels and moisturizers until…..
and increase the frequency of moisturising. Itch goes away within 5 mins or less. I learned a lot at the Watson x Suu Balm product launching which was held on 26th Feb at Nathalie Gourmet Studio. Suu Balm is a product formulated at Singapore’s National Skin Centre for the purpose of relieving itch. Dr John O’Shea explained to us about the ingredients used in Suu Balm and we even had some experiments done. The Suu Balm range is designed for anybody with dry, itchy skin to provide itch relief and increases the frequency of moisturizing, breaking the itch-scratch cycle to prevent further damage from scratching. 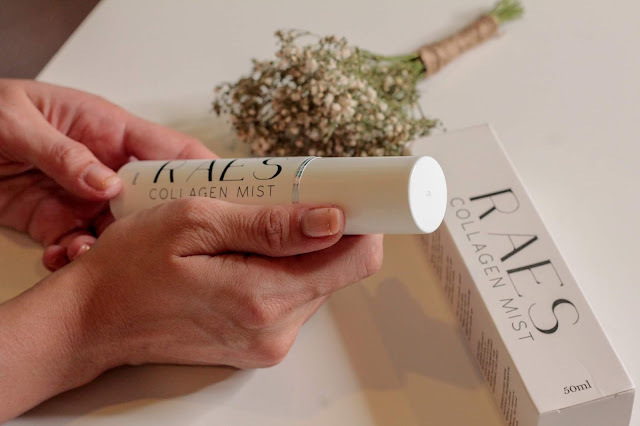 This cream has been specially formulated for our kind of climate which is really the best thing as most products in the market are formulate in Europe, US and etc. Their climates are totally different from ours, so creams formulated for these countries are too thick for us. Suu Balm is light, non-greasy and absorbs fast. If you don’t already know ceramides are crucial in structuring and maintaining the water permeable barrier function in the skin and it help skin renewal by forming a barrier against moisture loss, thus protecting and repairing dry and sensitive skin. Suu Balm contains a high concentration of ceramides if compared to other moisturisers in the market. Menthol is also another one of Suu Balm’s main ingredients and this makes it less suitable for kids under the age of 3, but you can still try to see if your child is ok with the cooling sensation. Some kids just don’t like it. Mine loves it. Menthol perceived skin cooling effect by activating the same nerve receptors as cold therefore helps relieve itch up to 80%. For those with eczema, you would be happy to know that Suu Balm doesn’t contain steroid and is also Paraben free! Suu Balm can be used to relieve all types of itches and skin irritations caused by dryness, sensitivity or irritated skin. Suu Balm can also help relieve bites itch thanks to Menthol. Suu Balm can be applied several times a day and it definitely helps in the reduction of dry and itchy skin, however it is not a permanent cure for skin dryness so please continue to moisturizes regularly. Suu Balm also has a range of products for the whole family such as Suu Balm Creams and Suu Balm ultra-gentle moisturising wash. Suu Balm also has their kids range;Suu Balm Kids, so this is safe for kids to use. Does your beauty drink contains Yeast Ceramide? definitely achievable with the correct diet and exercise. As important as our beauty rituals are to the condition of our hair and skin, many of the qualities we strive for – clear skin, voluminous hair, healthy nails – are all connected to our intake of essential vitamins and molecular components. Beauty supplements are packed full of nourishing ingredients to provide us with the essential vitamins and minerals integral to healthy skin, hair and nails. They work from the inside out; promoting gradual improvements to your appearance overtime as changes are made. bacteria and environmental pollutants. Losing ceramide is one of the biggest contributors to wrinkles as skin dehydrates easily causing more fine lines and wrinkles. Cosera Berries Ceramide Drink provides our skin with continuous hydration and stimulates dehydrated skin. This drink is not only effective for the face but the whole body. it. Men don’t seem to like sour, so they? The Cosera Berries Ceramide Drink contains Mix Berries (Blueberry, Strawberry, Bilberry, Blackberry), Fructooligosaccharides, Collagen, Premixed Enzyme (Amylase, Bromelain, Cellulase, Diastase, Invertase, Lactase, Lipase, Pectinase, Protease), Yeast Ceramide dan Stevia. This drink has No preservative, No chemicals, No hormone, No added sugar, No artificial flavor and No artificial coloring so you can consume this at ease. skin, brightens and soothes the skin tone. ✓ High antioxidant - protects the skin from free radicals and helps fight the signs of aging. ✓ Rich with anthocyanin - repair damaged, dry and wrinkled skin. ✓ Having vitamin C - good for lightening the skin and maintaining healthy skin. ✓ Good for eyesight , general immunization and health systems. ✓ Reduces melanin production, and helps brighten the skin. 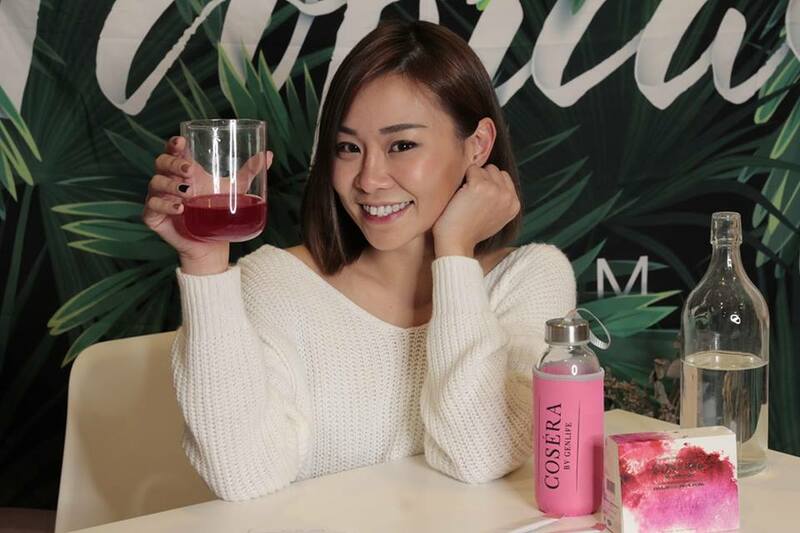 Cosera Berries Ceramide Drink is suitable for everyone who wants to achieve flawless healthy looking skin like myself, yes our male friends included. This drink is not only full of benefit but it is convenient too as it is easy to prepare. A box of Cosera Berries Ceramide Drink contains 15 sachet which makes preparation so easy! 1. Take one sachet and put in a cup 2. Add 180 - 200 ml (or more) water 3. Stir well and drink! My Take on Zephyrine. Yay or Nay? Hi Girls!! I hope everyone’s doing fine! We are already in the 4th quarter of 2018! A month ago if you guys still remember I shared about a new range called Zephyrine. Yes, the ones with numbers. I've stopped all other skincare for the past 1 month and was diligently using only Zephyrine. So let’s do a little recap and also the results after 1 month of usage. You already know that Zephyrine is a skincare product from Taiwan which is formulated with luxurious ingredients to naturally and effectively care for our skin. 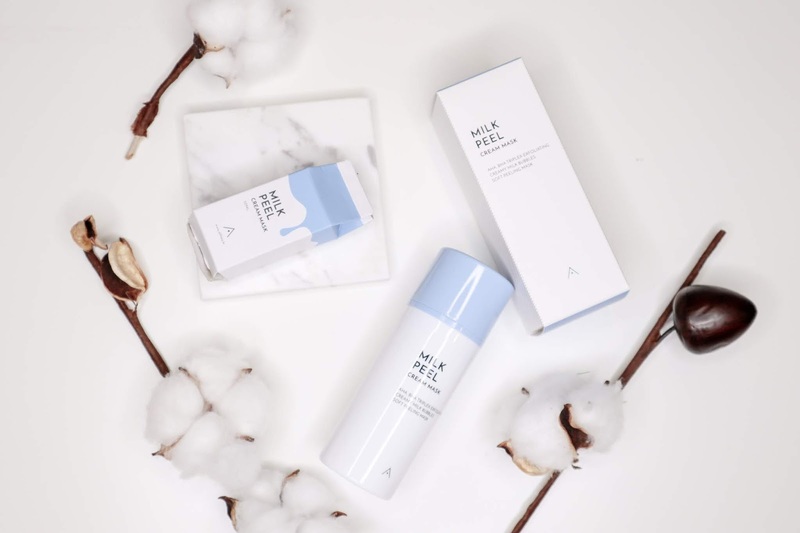 Basically this product is suitable for any skin types so anyone and everyone can use this with ease and with 5 series of products which is the classic, whitening, anti - aging, moisturizing and cleansing there is something for everyone. So I have been using Zephyrine for approximately 1 month; twice a day. It's a much easier routine compared to my usual as I stopped all my other skin care for the whole month and concentrated on this. This is how my Zephyrine Routine goes. After I wash my face I will apply the #1 Rose Essence Treatment Lotion which replaces my toner and other rose water. Well, this Rose Essence Treatment is different from the other. Let me share something about the roses used in the Rose Essence Treatment Lotion with you. This is a special type of rose, not just any kind of rose you find at the florist. Rosa Damascena (or Damask Rose) has a long history with origins as far as Ancient Persia. The Bulgarian Rosa Damascena has over 280 components thanks to the special climate and soil it is grown in, which makes its aroma, longevity and intricacy extremely precious and desired by the most famous perfume brands in the world. These flowers are picked only once a year [ Mid-May – Early-June]and that is what makes them so precious. I have rather dry skin, so I depended a lot on products that contains hyaluronic acid. I was skeptical when I started using this and felt really funny skipping my HA Serums, but after a few days of use I realise that my skin is just as moisturized as before, not only that I also felt that after applying the essence my face isn’t sticky or oily, but felt so soft! I am sure you know that I am not a fan of essence but Zephyrine #1 Rose Essence Treatment Lotion which is selling at RM190 [Single product] has definitely made me consider adding this permanently into my routine. Would I repurchase this? Most definitely because I swear my skin is as soft as a baby’s bum. me problems on scars and hydration. as well because I apply mask at least 5 days a week. What I like about the Zephyrine’s #6 Placenta Extract Repairing Mask is that my skin is so much softer the next day and it last for about 3 days too. I also find my skin glowly and I realise old scars are lighter than before. I really love the fit of the mask, it's not easy for me to find a mask that actually wraps around my face nicely and Zephyrine’s 6 Placenta Extract Repairing Mask which is selling at RM90 [Single product ] did it perfect. Will I repurchase? Yes! Yes! Yes! I mad love this mask….because my face was glowly even after 3 days! Overall I would give this product a thumbs up! This is a product that focuses on using premium ingredients and do not use alcohol, artificial colours, preservatives, does not contain heavy metal or silicone and is not tested on animals. If you like what you read you may purchase them on Zephyrine’s website and remember to check out their PROMO tab because you will find fantastic combo deals there! Follow me on my Instagram stories and Facebook stories. I do share my routines there!